A film about the life of recently killed war journalist Marie Colvin. Colvin died in February while covering the civil war in Syria. She was an American journalist who wrote for the British paper The Sunday Times, covering wars and conflicts from Kosovo and Chechnya to East Timor and Sri Lanka -- where she lost an eye. Colvin specialized in Middle East affairs and was covering the Syrian uprising in a building that was being shelled by the Syrian Army when she died at age 56. Colvin was known for her brash style and fought to bring attention to the inhuman and blood-spilling scenes she was seeing. She also endured three divorces and post-traumatic stress disorder all in a careeer that made one of the most important war journalists in the field. 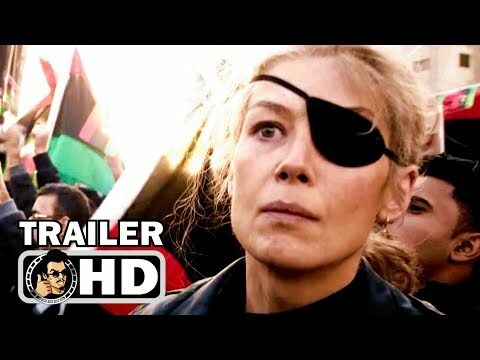 A Private War was released on Blu-ray 76d ago in the US.